Tuolumne County, bordering Yosemite National Park along the Highway 49 and Highway 120 corridors, played a pivotal role in 19th-century stampede for gold and silver, and its rugged landscape is dotted with towns—Columbia, Jamestown, Twain Harte, Groveland—that still have a boomtown feel. Don’t leave Rover at home when you visit Columbia, “the Gold Rush town that refused to die.” Engagingly preserved as a state historic park, its 1850s ambiance has captured an array of historic buildings housing shops, restaurants, hotels and exhibits themed to the era. Dog-walking tourists and locals alike are everywhere to be seen, and as far as we know, there’s nowhere else in Gold Country where you can treat your pooch to a ride in a reproduction Wells Fargo stagecoach. Dog-friendly carriage rides are available in Jamestown’s quaint downtown, where antiques shops housed in 19th-century buildings set the mood. You’ll both remember a stay at the 1859 National Hotel, and you might even see a ghost. The vine-covered patio is a great place to enjoy breakfast, lunch, dinner or Sunday Champagne brunch. Highway 120 out of Oakdale begins its twisting climb to the national park at Big Oak Flat, and you’ll want to keep both hands on the wheel and eyes on the road as you negotiate the mountain goat-steep grade up to Groveland. The surrounding Stanislaus National Forest is a recreational wonderland with many day-hike opportunities. If you have four-wheel drive, get a map and take a day trip to Trumbull Peak Special Interest Area, where a 45-foot-high fire lookout tower overlooks the Merced River and, on a clear day, Yosemite Valley. 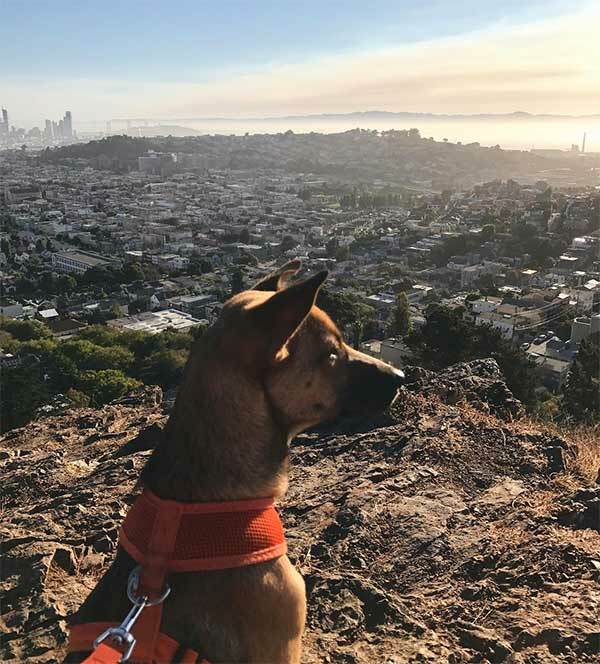 While we don’t recommend hauling Fido up the stairs, the two of you will enjoy hiking on surrounding trails. 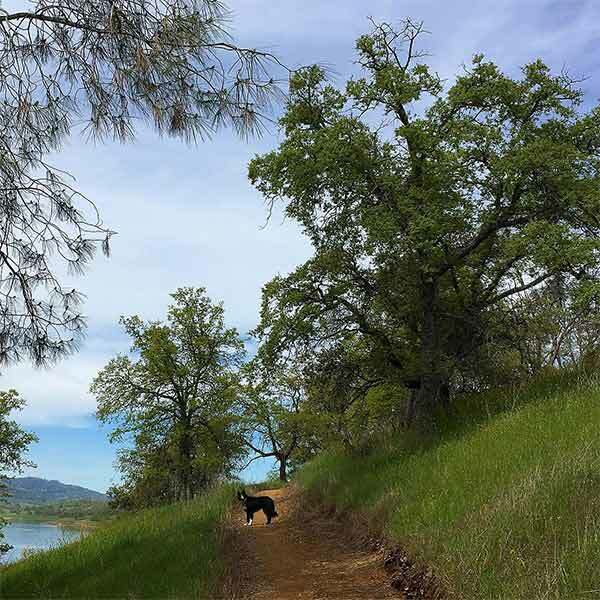 Two others to try: More scenery is available for the soaking up on the Tuolumne River Canyon Trail overlooking the wild and scenic Tuolumne River, and the moderate Preston Falls Trail leading to a modest waterfall on the same river. At the end of an active day it’s nice to come “home” to a hot shower and a soft bed—and the beds don’t get any softer than the “mile high” feather versions at the very dog-friendly Groveland Hotel, whose fine-dining restaurant spills onto a dog-friendly patio. Offering similar Victorian charm is the Hotel Charlotte, with three pet-friendly rooms and a location right in the center of the charming town.